Need a new skull or mandible? 3d print it! 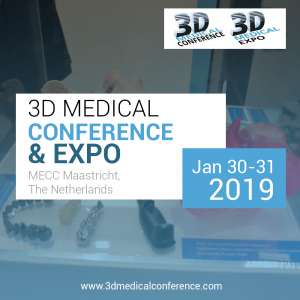 – Presented by Jules Poukens, Cranio-maxillofacial Surgeon, Zuyderland Medical Center / The Netherlands, Lecturer-Researcher, University Hasselt and Leuven, Belgium, at the 3D Medical Conference 2019. Patients in the cranio-maxillofacial clinic often present with serious, complex, and potentially life- threatening or life-limiting medical conditions (e.g. tumor, trauma, aggressive osteomyelitis). Available treatments may not always give satisfactory results for patients and doctors. Therefore, complex problems ask for new solutions. 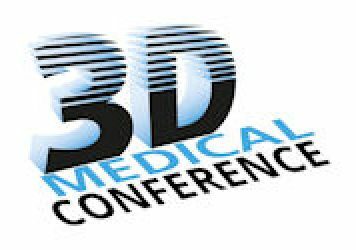 An emerging technique in the medical field is Computer Aided Design (CAD) , Computer Aided Manufacturing (CAM) by 3D printing. For successful implementation of CAD-CAM technology in the clinical practice doctors, dentists and engineers need to work together and share their expertise. 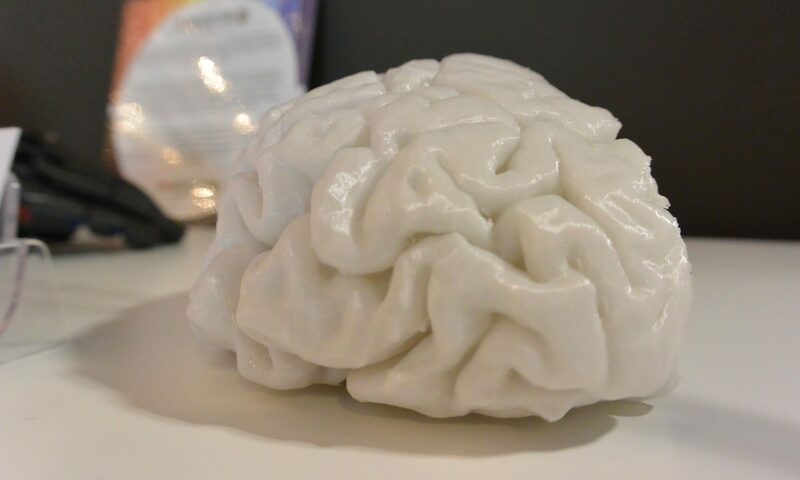 This intense cooperation leads to 3D printing of custom patient specific implants. 3D printed implants are used for the treatment of skull defects, temporo-mandibular joint replacement and world’s first 3D printed entire mandible replacement implant. Clinical cases will be highlighted. 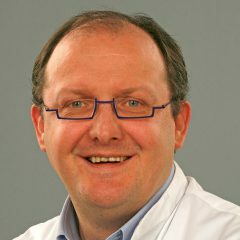 Prof. Dr. Jules Poukens is currently lecturer and researcher at the Biomed Research Institute of the University Hasselt in Belgium and the department Biomedical Engineering University Leuven Belgium. He is a Cranio-Maxillofacial Surgeon at the Zuyderland Medical Center Sittard -Geleen, the Netherlands. He got his M.D. and D.M.D from the Catholic University Leuven in Belgium. He was trained as Cranio-Maxillofacial Surgeon in Belgium (Leuven) and Germany (Freiburg, Black Forrest). After his training, he first joined the staff at the University Hospital Maastricht and later on the staff of the Zuyderland Medical Center Sittard – Geleen in the Netherlands. He has participated in several European Community funded projects on medical rapid prototyping and manufacturing and was acting chairman of the Board of Directors of the EU funded project CUSTOM-IMD. He was the leading surgeon that designed and implanted the world’s first 3D printed total mandibular implant and was one of the pioneers in using 3D printed skull implants. He has numerous publications and held numerous presentations in this field. Born and raised in Belgium, Jules searched for his roots and lives with his wife and two daughters in Dilsen, Belgium near the Dutch and German border. Zuyderland originates from a merger between Atrium Medical Center Parkstad and Orbis Medical and Care Concern Sittard-Geleen. These health care organizations merged as from the 1st of January 2015. The actual merger was the start of a substantial process of change. Hasselt University is a young university that has achieved enormous growth in the past four decades. Hasselt University is ranked 84th in the Times Higher Education-ranking of universities younger than 50 years.